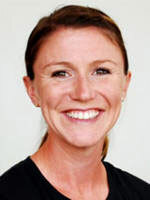 Colleen Fink was named head coach of the University of Pennsylvania's field hockey program in April of 2010, completing her eighth season at the helm in 2017. Her tenure has sparked a resurgence in the Quakers program, placing them among the Ivy League's top programs. Penn has won at least 11 games overall in three of the last five seasons, a feat previously accomplished just twice in the first 40 years of the program's history as a varsity program (1973-2012). In both 2013 and 2015, the Quakers entered their final regular-season game at Ellen Vagelos Field playing for a share of the Ivy League title and the league's NCAA Championship automatic bid. 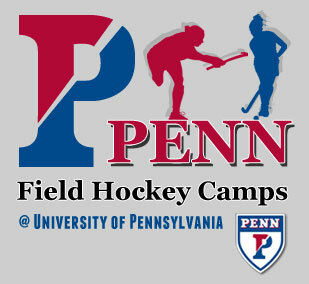 Penn did not have a first-team All-Ivy player from 2008-12; in the last five seasons, the Quakers have had six. After placing just one woman on the All-Ivy teams in Fink's first season (2010) and two in her second season (2011), Penn has had four women receive All-Ivy recognition in four of the last six years. In addition, Penn had the Ivy League Rookie of the Year in 2013 (Jasmine Cole) and 2014 (Alexa Hoover), and in both cases they were named first-team All-Ivy as freshmen, the first times that happened in program history. 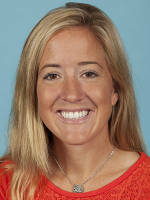 Katelyn O'Brien was hired in May of 2010 and completed her eighth season with the Quakers in 2017 as an assistant coach for Penn’s head coach, Colleen Fink. Working with the offensive unit, O'Brien has turned Penn into a juggernaut.